One is that the current intermediate uptrend has been going on for a long time now and has resulted in a persistent overbought condition. Another is that it is quite some way above its 200-day moving average, which, although it has turned up, is still only rising gently. Another is that it has arrived at resistance at the upper boundary of a trading range that developed last fall. 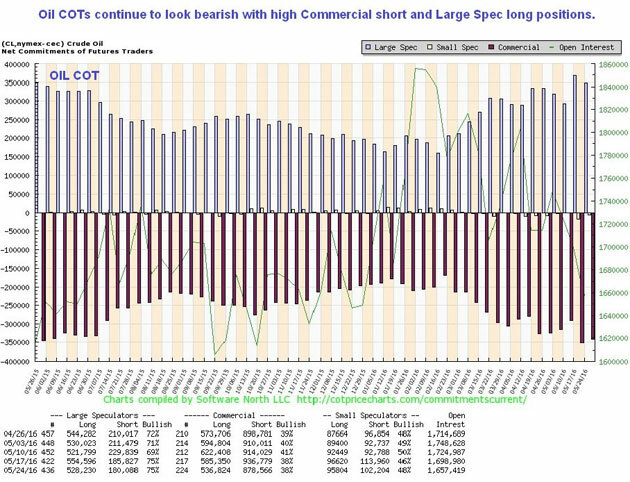 Still another is that its latest COT looks bearish, with Commercial short and Large Spec long positions being at their highest for about a year (see chart above). 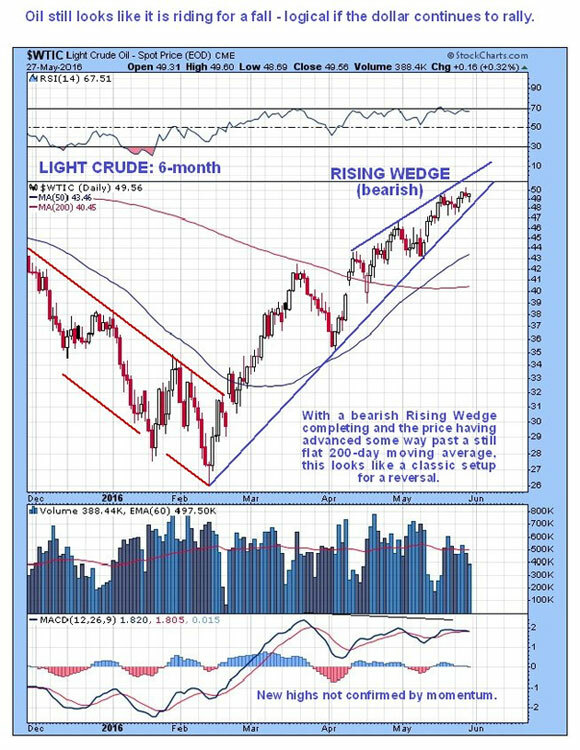 Finally, the broad market looks ready to roll over after its rally up to resistance of recent days, and if it does, it is likely to take oil down with it, probably against the background of a continued rise in the dollar. 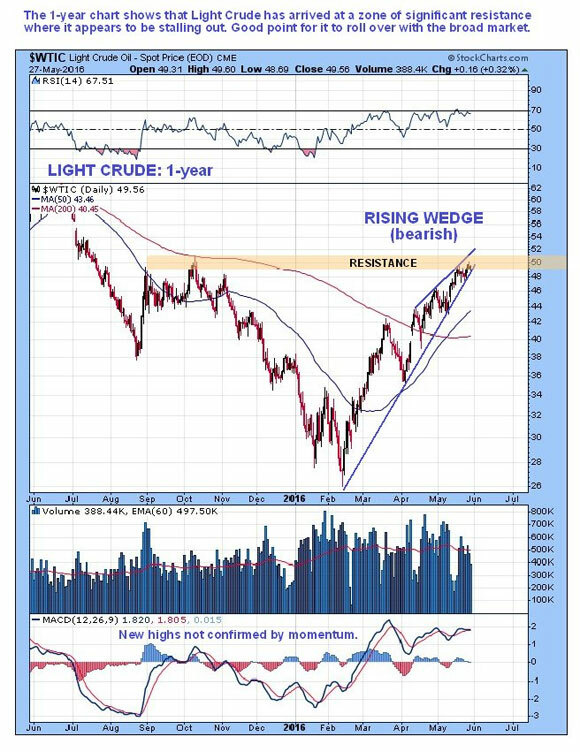 The 1-year chart shows that the advance has brought Light Crude up to a zone of significant resistance, where it appears to be stalling out. This is a good point for it to turn down again, probably in tandem with the broad market. . .
A factor that has supported oil prices for much of this year has been the persistent "contango," which means that prices for future delivery of oil are significantly ahead of spot prices, probably caused by the market's erroneous expectation that the shutting down of capacity will lead to a shortage and thus higher prices. 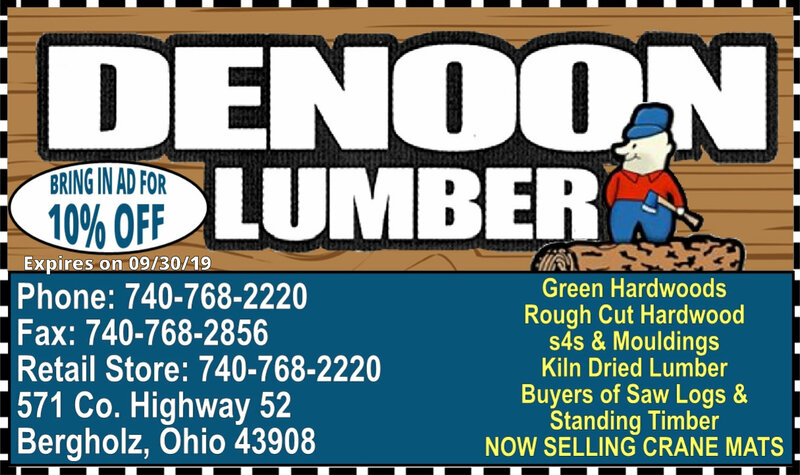 This belief, coupled with high production, has led to an armada of ships bulging with crude, sitting offshore, with the owners holding the mistaken belief that they will get higher prices later. Thus, the dramatic development of the past few weeks, during which the contango has collapsed so that it has already become uneconomic to store oil offshore, means that the screw is now being turned on owners storing oil offshore. With the market glutted, and contangos collapsing, owners are being forced into the bizarre position of resorting to debt-funded storage, a highly anomalous solution that is clearly untenable over the longer-term. But when all storage capacity, onshore and offshore, has been used up, that's it, it's game over, and that appears to be the situation that we have arrived at. Want to read more Energy Report articles like this? 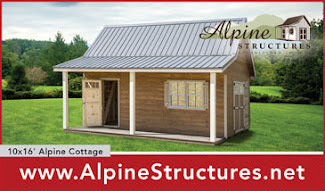 Sign up for our free e-newsletter, and you'll learn when new articles have been published. To see a list of recent interviews with industry analysts and commentators, visit our Streetwise Interviews page.